The Los Angeles Times today announced the lineup for the Festival of Books, the nation’s largest literary festival, held the weekend of April 21-22 at the University of Southern California. 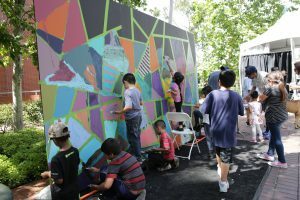 More than 500 writers, musicians, artists and chefs, hundreds of exhibitors and an expected 150,000 attendees will transform the 226-acre campus into a vibrant cultural festival in the heart of the Downtown Arts and Education Corridor. Laila Ali, Reza Aslan, Ed Asner, Mayim Bialik, Black Eyed Peas members will.i.am, apl.de.ap and Taboo, Roshani Chokshi, Junot Díaz, Kate DiCamillo, Dave Eggers, Jenna Fischer,Vivica A. Fox, Diana Gabaldon, Juan Felipe Herrera, Tayari Jones, Patrisse Khan-Cullors, Dennis Lehane, Moby, Janet Mock, Natalie Morales, Walter Mosley, Viet Thanh Nguyen, Joyce Carol Oates, Leslie Odom Jr., Patton Oswalt, Jorge Ramos, Rick Riordan, Maria Shriver, Jake, Jazz, Jurnee and Jussie Smollett, Nic Stone, Gabrielle Union and Lawrence Wright are scheduled to appear with more to be announced in the coming weeks. Newstory, a series of multimedia programs highlighting creative forms of storytelling, will debut at this year’s festival. BigSTORY, Creative Visions, Grammy Museum, The Second City, SeriesFest, Spotify, Two Bit Circus, the Universal Hip Hop Museum and Vortex Immersion Media are among dozens of Newstory programming partners and musician Beatie Wolfe has curated a day of talks and performance across music, art and technology. On the eve of the festival, Friday, April 20, The Times’ 38th annual Book Prizes will honor novelist John Rechy with the Robert Kirsch Award for lifetime achievement, Glory Edim, founder of Well-Read Black Girl, with the Innovator’s Award, and 11 outstanding literary works published last year. 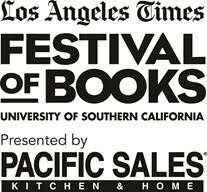 The 23rd annual Los Angeles Times Festival of Books is presented in association with USC and Pacific Sales Kitchen & Home. The festival and Book Prizes are sponsored by Medium. Admission to the festival is free. Pre-sale passes (which provide advance reservations for up to 20 indoor conversations) and all-access passes (access to all indoor conversations, plus valet parking) are available for purchase now. Individual conversation tickets will be available Sunday, April 15. Schedule, location, ticket and transportation information can be found on the festival website, Facebook page, Twitter and Instagram feed (#bookfest). Credit: The Los Angeles Times Festival of Books. Images were also provided.